Roster last updated on October 22, 2018. 3429 CR 6966 PRRX 10-1966 7914 32113 04-1993 CR PacRail/KCS SD40 612 Equipped with an electric handbrake and NS LEADER/PTC. 3445 CR 6996 PRRX 05-1967 7998 33163 11-1993 CR CR SD40 6287/CNJ 3063/B&O 7484 Equipped with A/C. NS LEADER/PTC Equipped. Unit 3429 is equipped with cab signals. 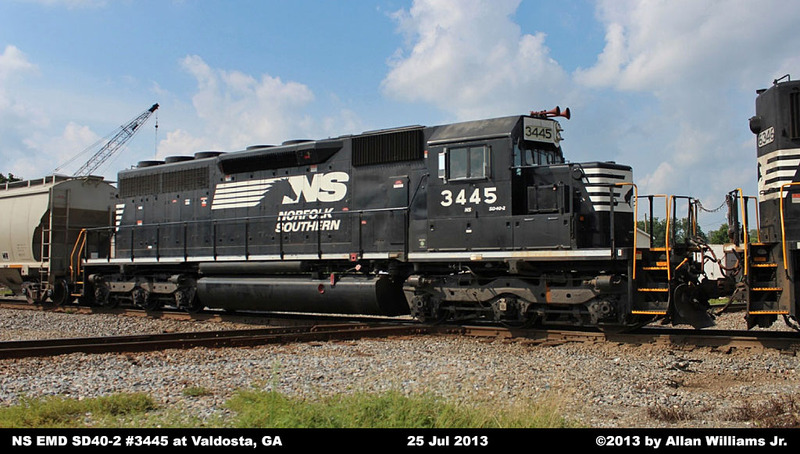 All units were rebuilt by Conrail from EMD SD40 cores.